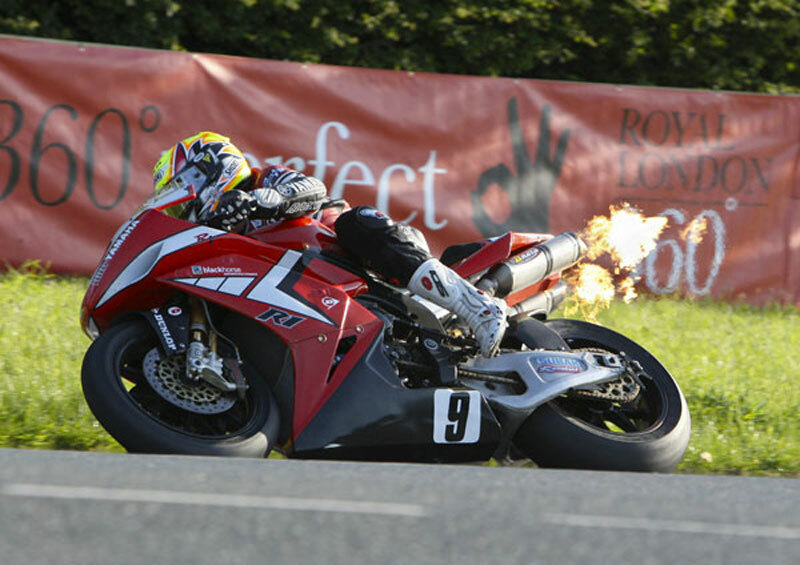 Road racing veteran Ian Lougher’s Yamaha R1 spits flames as he rounds Sulby Bridge during the 2009 Isle of Man TT. The Ulster-based Welshman notched up his 100th TT start in 2009, and once again impressed everyone with his determined performances. This striking picture, showing him on the Superbike during Practice Week, is a wonderful way to celebrate a centenary milestone.